Description Feature: Compatible For iphone 6S Plus 5.5" High quality, stable performance Professional Installation is Recommended, I will not be responsible for any damage caused to your phone or lcd screen assembly during install so please buy and install at your own Risk, Returns are only accepted if item is in the same condition as it was shipped to you. 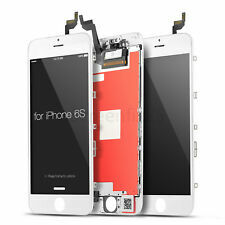 OEM Quality iPhone 6S Plus Black Replacement LCD Touch Screen Digitizer Assembly. 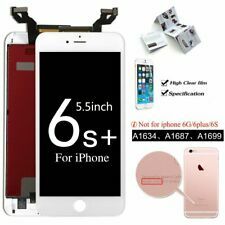 4.5 out of 5 stars - White Replacement LCD Screen Touch Digitizer Frame Assembly iPhone 6 Plus 5.5"
144 product ratings144 product ratings - White Replacement LCD Screen Touch Digitizer Frame Assembly iPhone 6 Plus 5.5"
IPhone 6S Plus 5.5". 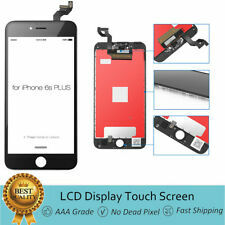 1X LCD Screen Assembly. 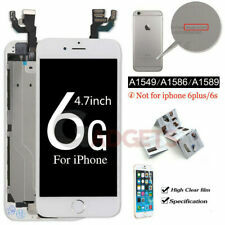 IPhone 6S 4.7". 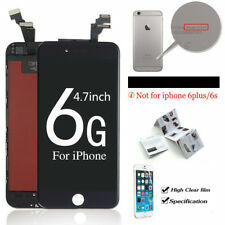 1X LCD Screen Assembly. 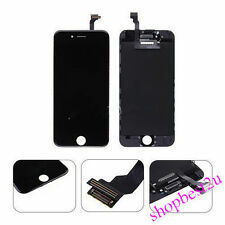 For iPhone 6s LCD Display Touch Screen Digitizer Replacement Black High Quality. 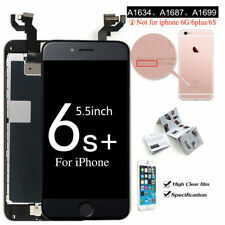 Genuine OEM Original iPhone 6S Black Replacement LCD Screen Digitizer "Grade A"
100% ORIGINAL APPLE LCD GUARANTEES!! SAME DAY SHIPPING! 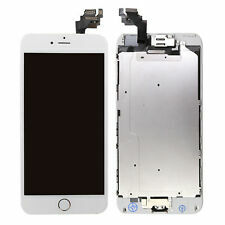 White LCD Screen 3D Touch Digitizer + Bezel Frame Assembly For iPhone 6S 4.7"
IPhone 6S 4.7". 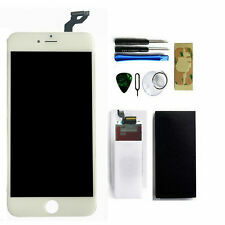 1X LCD Digitizer. 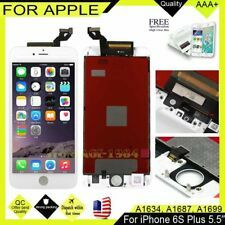 5 out of 5 stars - White LCD Screen 3D Touch Digitizer + Bezel Frame Assembly For iPhone 6S 4.7"
8 product ratings8 product ratings - White LCD Screen 3D Touch Digitizer + Bezel Frame Assembly For iPhone 6S 4.7"
OEM Front Face Camera Proximity Light Sensor Flex Cable For iPhone 6S 4.7"
4.5 out of 5 stars - OEM Front Face Camera Proximity Light Sensor Flex Cable For iPhone 6S 4.7"
8 product ratings8 product ratings - OEM Front Face Camera Proximity Light Sensor Flex Cable For iPhone 6S 4.7"
Original OEM Apple iPhone 6S White LCD Replacement Screen Digitizer "Grade A"
Apple Iphone 6S Black LCD Screen Digitizer Assembly SHIPS FAST USA SELLER! !